This Is Not A Drill – Art and Fire Alarms! I’ve been working on my latest painted dog piece for over 2 weeks now. And something is definitely wrong. The composition and drawing are good, but I’m finding excuses to leave my studio. Every time I come back in, I try to evaluate the painting with fresh eyes, but in my head, alarm bells are ringing. Its like a fire alarm going off. First, you think its a false alarm, so you can carry on with what you are doing. But it doesn’t stop, so you wonder if its real or just a test. Eventually you realize you will have to leave the building, whether the fire is real or not. Late yesterday afternoon, I finally paid attention to the alarm bells, decided to abandon this version of the painting, and metaphorically ‘left the building’. Since then I have experimented with a subtle gray color, and now I have the inspiration and desire to start the piece again, with fire extinguisher in hand! 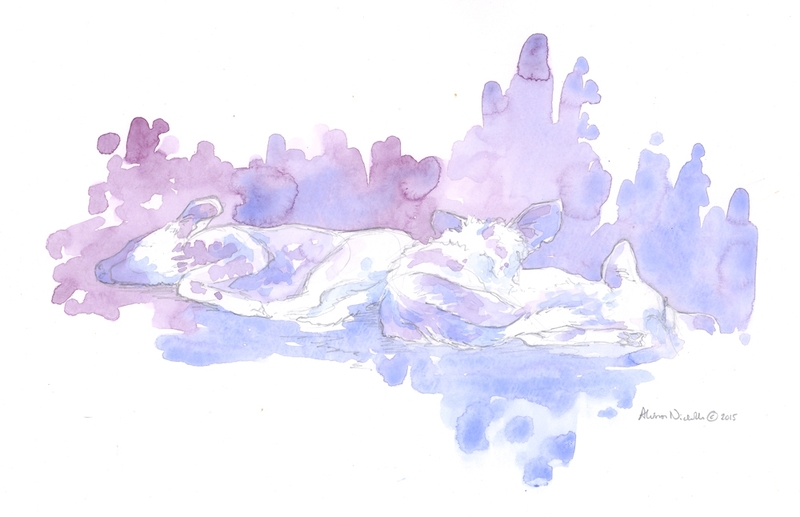 This entry was posted in Acrylics, African Wildlife, Blog Posts, For Artists, Painted Dogs (African wild dogs) and tagged alison nicholls art, painted dog art on December 11, 2015 by Alison.